Σχεδιασμένο για ταξίδια τόσο επαγγελματικά όσο και διασκέδασης, το Sanakeo Boutique LuangPrabang είναι ιδανικά τοποθετημένο στη Φου Βάο / Φου Μέο, μια από τις διασημότερες περιοχές της πόλης. Το ξενοδοχείο βρίσκεται 2km από το κέντρο της πόλης και σας προσφέρει εύκολη πρόσβαση σε σημαντικά μέρη της. Από τη βολική της τοποθεσία, η ιδιοκτησία προσφέρει εύκολη πρόσβαση σε κορυφαίους προορισμούς της πόλης. Το Sanakeo Boutique LuangPrabang προσφέρει επίσης πολλές εγκαταστάσεις για να εμπλουτίσετε την διαμονή σας στη Luang Prabang. Η ιδιοκτησία παρέχει δωρεάν WiFi σε όλα τα δωμάτια, 24ωρη φύλαξη, ημερήσιος καθαρισμός, κατάστημα δώρων/σουβενίρ, υπηρεσία εισιτηρίου, φροντίζοντας για τη μέγιστη δυνατή άνεση των επισκεπτών. Το Sanakeo Boutique LuangPrabang διαθέτει 33 δωμάτια. Όλα τους είναι διακοσμημένα με γούστο και πολλά από αυτά παρέχουν ανέσεις όπως επίπεδη τηλεόραση, κρεμάστρα ρούχων, δωρεάν καφές φίλτρου, δωρεάν τσάι, δωρεάν ποτό καλωσορίσματος. Είτε είσαστε λάτρης της γυμναστικής είτε ψάχνετε έναν τρόπο να ηρεμήσετε μετά από μια δύσκολη μέρα, θα σας ψυχαγωγήσουν καταπληκτικές δραστηριότητες όπως οι αίθουσα γιόγκα, γυμναστήριο, εξωτερική πισίνα, σπα, μασάζ. Το Sanakeo Boutique LuangPrabang είναι ο ένας και μοναδικός προορισμός για εσάς που ψάχνετε ποιοτικά καταλύματα στη Luang Prabang. Stayed here 3 different times. They will do anything for you to make your stay as pleasant as possible. The free shuttle and free bikes are a big plus. And service overall is really good. Would definitly come back a 4th time. Thanks for all Rudolph and staff! My room was spacious and clean. The hotel itself is very attractive and the facilities are well maintained. The pool was a nice place to relax after a day of sight seeing. The spa looked wonderful (I wish I had more time to have had a massage.) A short drive to the airport and close enough to walk to the centre of town. The staff were very helpful and friendly. They have a water refill station in the lobby which I loved using to refill my water bottle, to curb my environmental impact. My only recommendation would be to bring earplugs, can be quite loud at night. Supernice hotel. Staff and manager are very friendly and helpfull. Pool was lovely, gym was perfect with new equipment, supernice and clean rooms. The free bikes are good and we used it every day to go to the town. Would stay again if i would go back! New hotel, very clean, nice terrace in the restaurant, nice staff and friendly. Location of the hotel is right to see procession Tak Bat (Alms Giving Ceremony). Many thanks to General Manager Mr. Rodolphe Godey , he is very friendly. I will be back. Dear Helmut, First of all let me start by saying that we truly appreciate you taking the time to share your experience with us. Your way of describing us is exactly what we strive to achieve, and are proud that you also experienced it like this. I will make sure to pass your kind words on to the rest of the team, as it is truly a team effort. For now we wish you many more wonderful travel experiences in the future, and hope to welcome you back at Sanakeo Boutique one day. Kind regards, Rodolphe Godey for Sanakeo Boutique. Our room was big and we really loved the decor - bathroom was big and lots of closet/drawers to put away your stuff. Breakfast was a good spread. The pool was awesome after the very hot afternoon tours. Little far from the action but we rented scooters through the hotel and didn't have a problem with that. Hotel arranged a special Laos dinner for us one evening and we thoroughly enjoyed trying all the local cuisine! Superbly run, staff from top to bottom all warm friendly and willing to help. The property is a combination of colonial charm and contemporary interior finishing. The only issue (currently being addressed by management)is poor lighting in the bathroom). Breakfast is very tasty, must try the Lao fried rice, best fried rice I’ve had in my life. Dear Wayne, Thanks for your nice review. We really appreciate that you had nice time in our hotel and that you enjoyed the hotel's design and atmosphere and the breakfast. All the lights in the bathrooms have been changed last week. It was a real pleasure to welcome you. Hope to see you back soon! With our warmest regards Rodolphe Godey for Sanakeo Boutique. Recommend this hotel to all travelers on a budget yet looking for a quaint hotel with great amenities and vibes. Breakfast was decent and rooms had a Balinese relaxing tone with very tasteful Bathroom decor. Good pool and surrounding area. Nice room. Hotel is a bit of a walk from the centre but not too much of an issue. Dear Hannah, Thank you for your kind review. We truly appreciate your kind words about the pool and the room. We have a shuttle every day to drive our guests to the old town from the morning to the evening. We look forward to welcoming you back to Sanakeo Boutique in the near future. Warm Regards Rodolphe Godey for Sanakeo Boutique. This place is a beat off the beaten path, sure. But that's why you are afforded a massive room, that's clean and well maintained for a lower rate than in the city center. Paul made us feel well taken care of. He remembered our children's names, and doted on my toddler. He drove us personally in his car more than once. He checked in. He discussed the process of trying to improve the accommodation, and solicited advice for ways to improve. The restaurant was fine, and we ordered from it more than once. The pool looked lovely, but it was far too chilly while we were in town. The room was spacious, the bathtub and shower warm, and the bed was very very comfortable. I also enjoyed the balcony on our room, where we were able to sit outside and watch the scenery. Well recommended. (Sorry for the delayed review, Paul. Hope you're well. We had a fantastic stay at the Sanakeo Boutique hotel made all the better by the hotel Manager Paul. Paul gave us some great local advice about where to go in Luang Prabang that was not in the usual tourist brochures. He was there every morning for a friendly chat and some local advice and his suggestions were spot on. I wouldn’t hesitate to stay here again. The rooms are beautiful, clean and they are quite big and new. 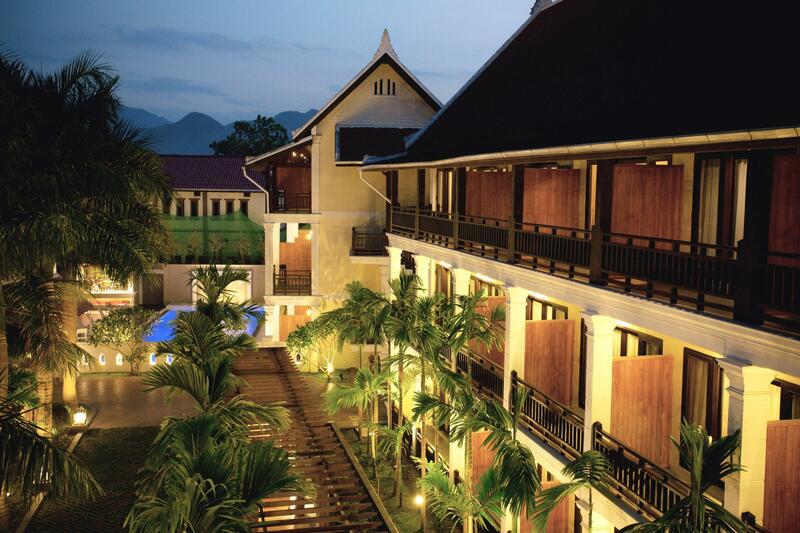 The staff are all friendly and laid back which adds to the relaxed Laos charm of the hotel. It’s not in the centre of town but the walk is only about 10-15 minutes and you can explore the streets on the way which is what travel is all about or you can grab a local taxi for about a $1. The hotel is great value for money and Paul’s local knowledge and hospitality is invaluable. Definitely recommend this hotel. 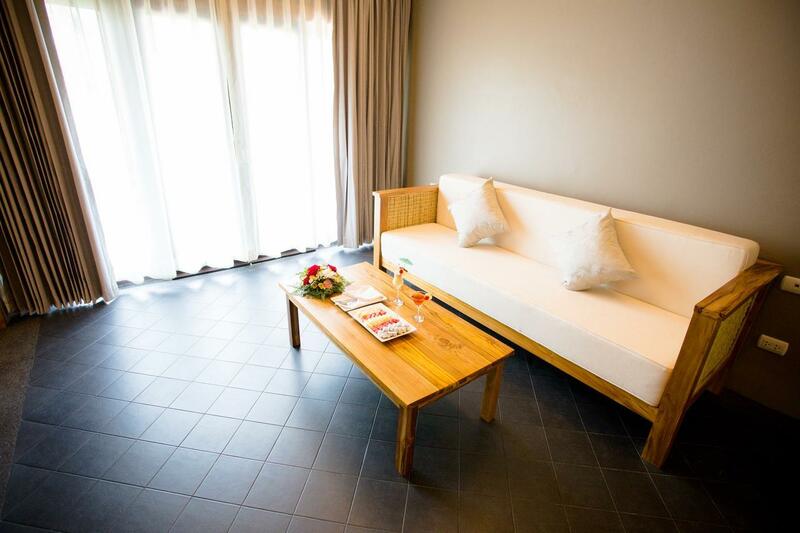 Very well equipped hotel with modern and comfortable rooms, lift, gym, swimming pool,... Good breakfast. Very good massage in a nice and quiet area! Friendly and helpful Manager & staff. Free bikes are provided. We recommend this Boutique Hotel! the hotel is not cheap but really worth the money! we booked the suite and it was amazing! everything is soooo clean and the staff is lovely! it takes a 10 minute walk to go to the center, but there are also bikes available. We really reccomend this hotel and especially the suite! really big and the bathroom is amazing. You really have everything in the room. Sabaidee Tan, thanks for the great review. Yes we are working hard to recruit more staff to enhance all our facilities and services. We have 2 new spa ladies starting in the next few weeks. New bar staff, and new kitchen staff will also be joining us shortly. Safe travels. I hope that we helped to make your stay in Luang Prabang a pleasant visit. My wife and I stayed 4 nights at sanakeo boutique hotel and we loved it ! It's a short walk into town probably 10/15 mins but plenty to see and do along the way so no problems . The hotel is very clean and the facilities are great probably the best hotel we stayed at in laos staff are very friendly and try hard to make your stay as easy as possible we both can't wait to go back !!! Sabaidee Andrew, thanks for the great review. 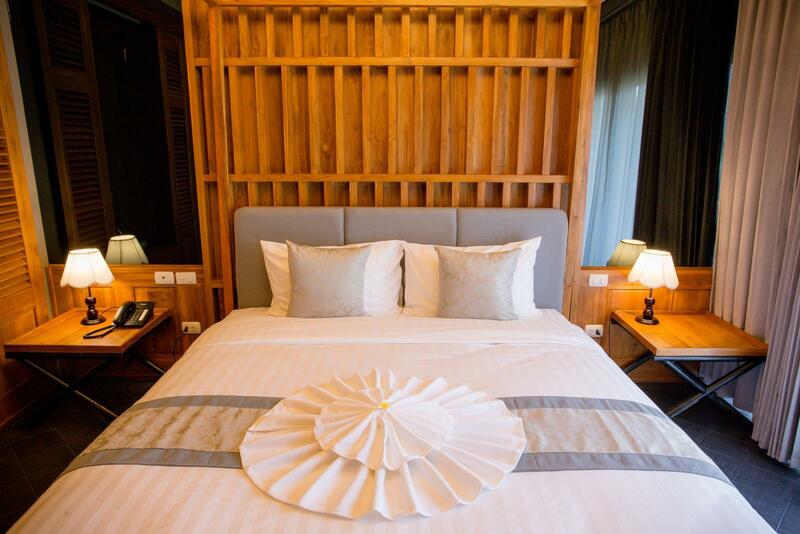 We are so happy that we helped to make your stay in Luang Prabang a pleasant visit. I'm very proud of the way the staff are learning how to host our guests from all points of the globe. We look forward to seeing you again. Lovely hotel! The wing we were in seemed new so it was lovely. Fantastic shower, great beds and really nice bathroom. A lovely Laos fusion style with a nice mini gym and swimming pool. About 10 minutes via tuktuk to the main stretch but not a problem. Good breakfast. Excellent facilities .Clean rooms. Breakfast was buffet and good.Only downside a 15 minute walk into town .Though there is free transport into town which we used and walked back or a tut tut 20000 kip or 80 baht. we spend 3 nights here. location is far from the night & morning markets (about 20mins walk to Post Office & start of market streets), but is definately not a concern as tuktuks are plenty and they cost like est. 10k kips per pax to the usual spots. hotel is pleasingly clean as it is new. mosquitoes will be a problem as we whacked like at least 5 of them during our stay and there are still a few in our room which we didnt managed to kill.. weird thing is that they dont seems to sting us at all compared to those in the open town center. staffs are definately having better english standards and are pleased to serve. we were quite disappointed about the hotel not honoring the town shuttle transfers at 10am 12, 2 & 4pm when they had it displayed in a stand sign right in the lobby front door area. We enquired it everyday but were told the driver is not around as it is low peak season. breakfast is simple and clean, foodies can opt to skip and head out to town for more options. room facilities were sufficient and services are promt. I absolutely loved my stay here. The property is picturesque and the staff is very helpful. Easy to get to the night market and town centre, I used the hotel bicycles. However this review would be incomplete without mentioning their manager, Paul. He went out of his way several times to make our trip much more comfortable, wether it was arranging transport or finding out about the local sights, one of the friendliest hosts I've met on my travels. Σταθμός Λεωφορείων Luang Prabang Southern στα 1.3 χλμ.